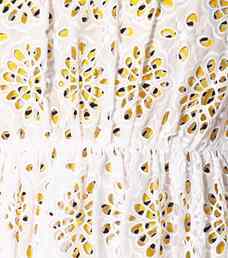 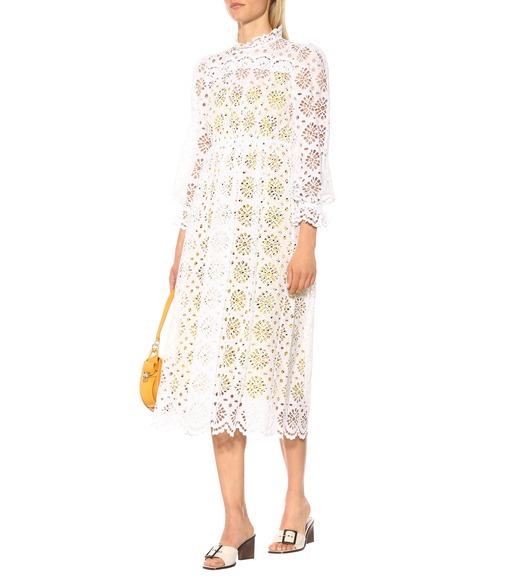 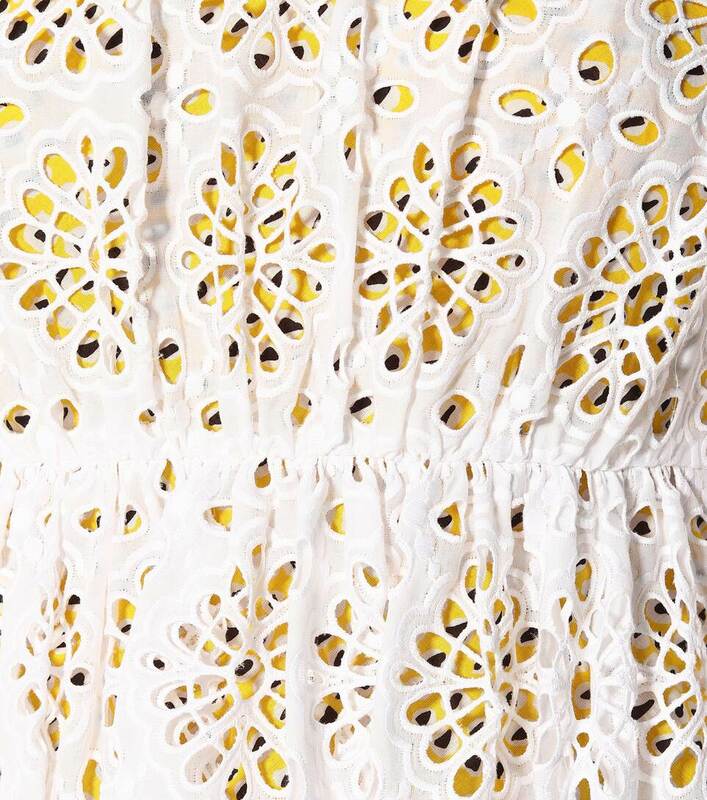 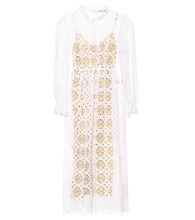 The Leandra dress from Diana von Furstenberg works a white eyelet cotton lace outer, with its sheer finished countered by a yellow printed slip underneath. 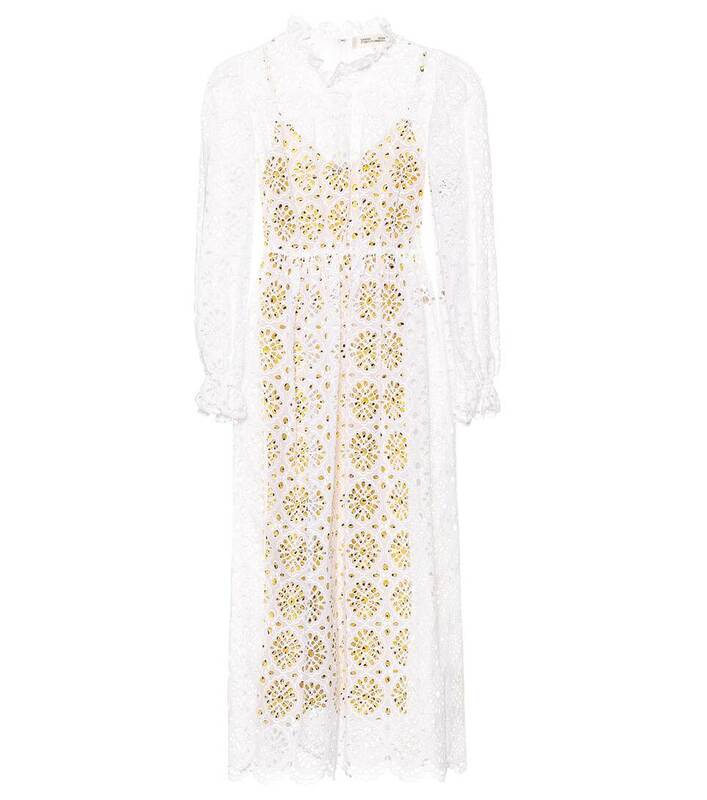 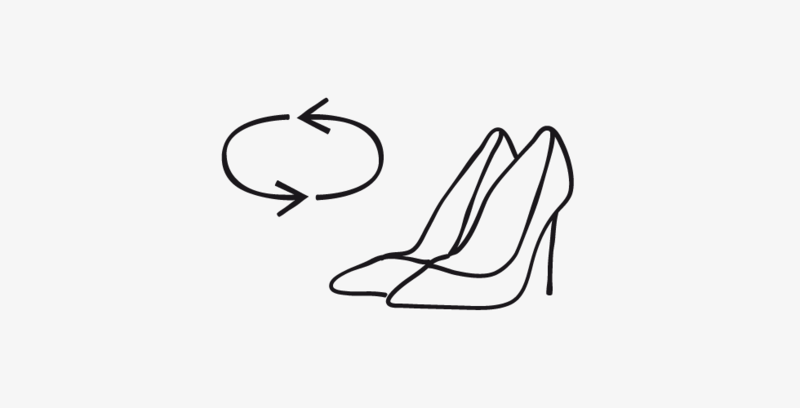 The elegant design falls to a maxi length with a straight silhouette, and is completed on a graceful note with scalloped edges, a high collar, and a flattering fitted waistline. 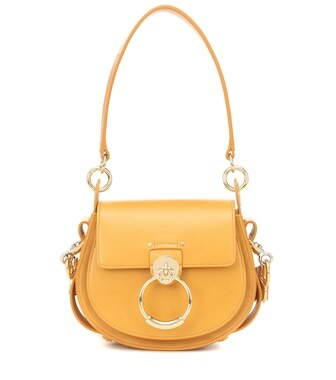 Play to its zesty undertones by carrying a lemon-hued bag next to yours.